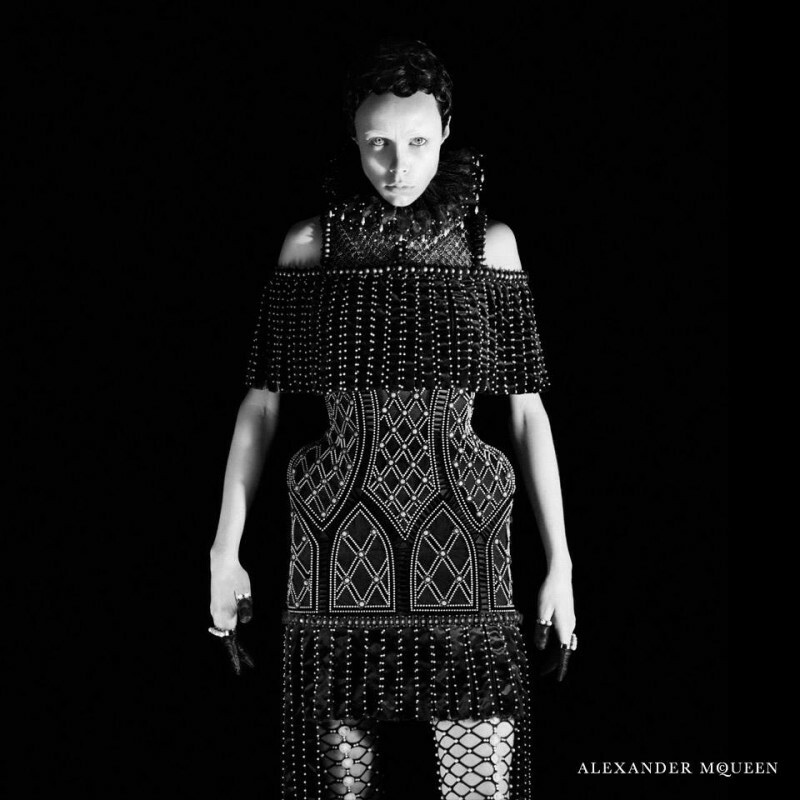 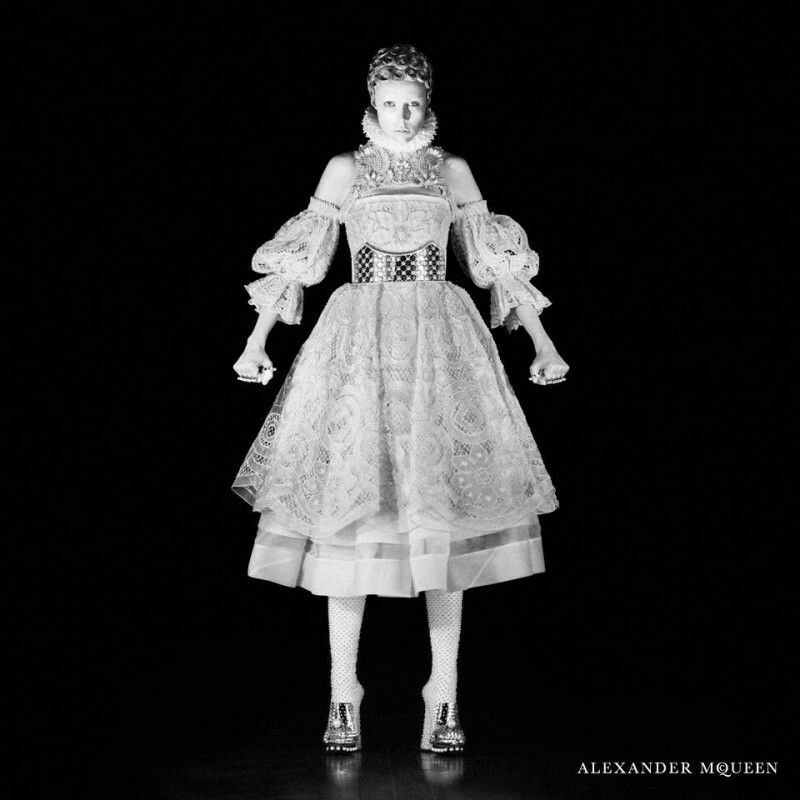 Fine Fall – Alexander McQueen keeps it simple for its fall 2013 campaign where it lets the clothes tell the story with a set of black and white studio images shot by David Sims. 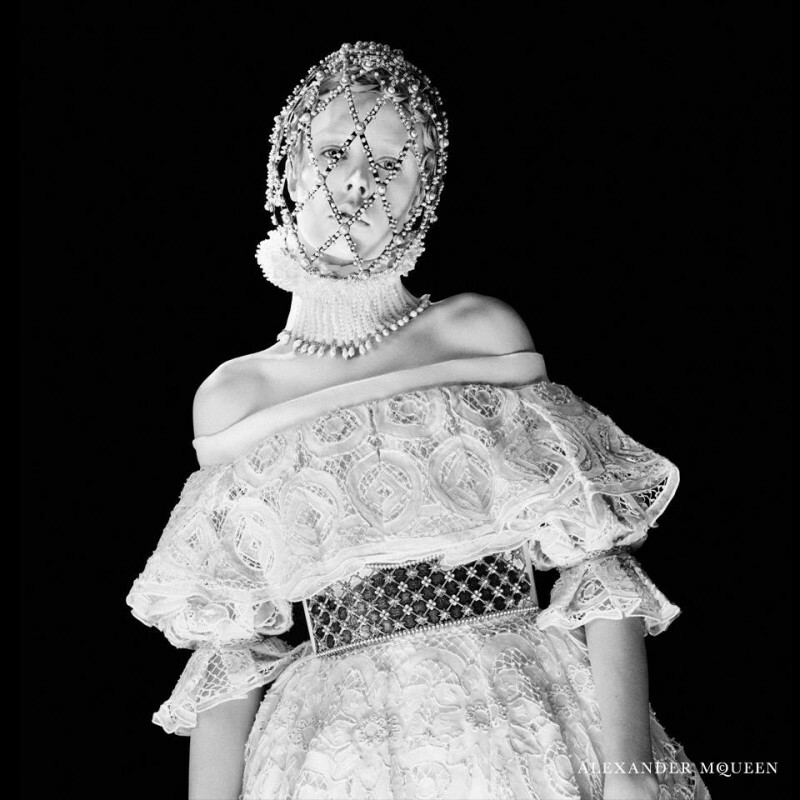 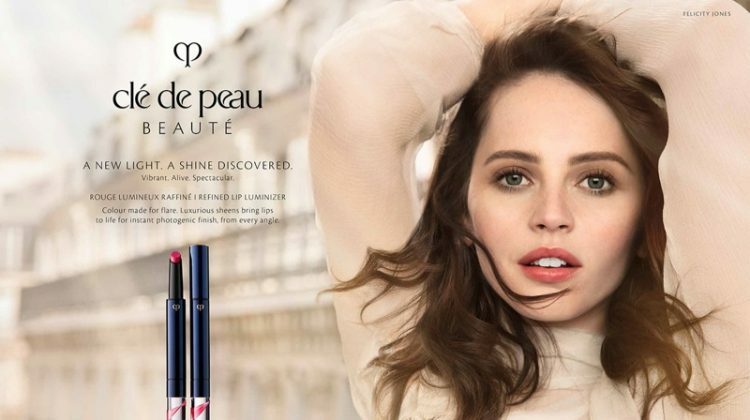 British model Edie Campbell is the star of the autumn advertisements featuring designs with a divine inspiration ranging from Catholicism to the Virgin Queen, Elizabeth I. 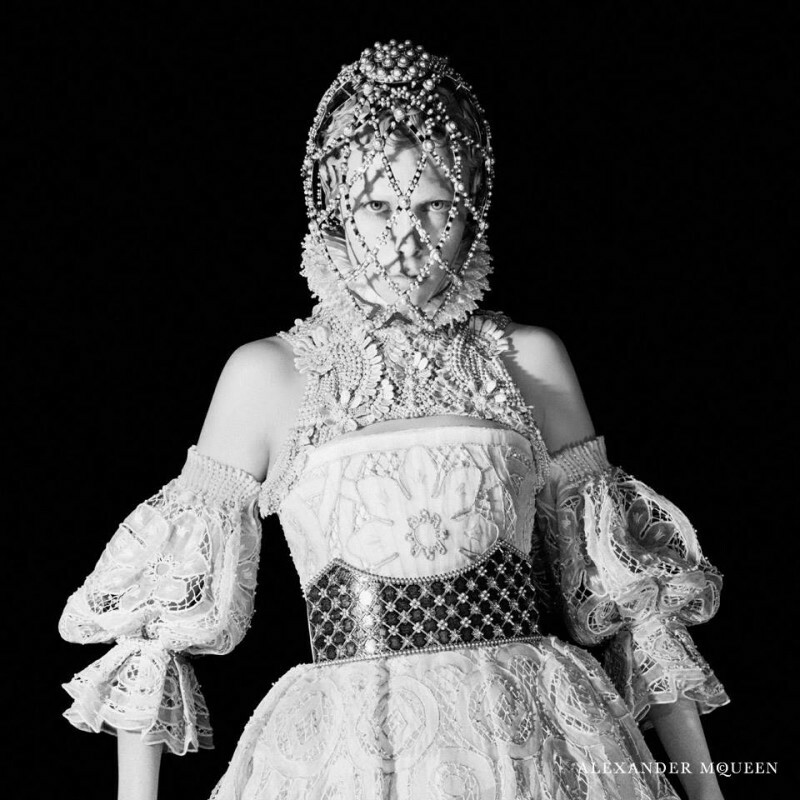 The pearl-adorned bodices and opulent face guards are given full attention in the striking photographs.